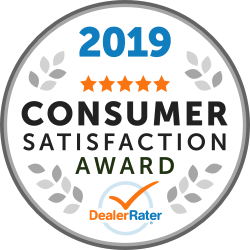 Salem, NH – January 22nd, 2019 – Rockingham Toyota has been awarded a 2019 DealerRater Consumer Satisfaction Award, an annual recognition given to auto dealerships that deliver outstanding customer service as rated by online consumer reviews. DealerRater, the world’s leading car dealer review website, created the Consumer Satisfaction Award program to let online car shoppers instantly spot dealers that provide high-quality customer service. Rockingham Toyota has achieved consistently high scores on the DealerRater website, placing it among the top dealerships nationwide. 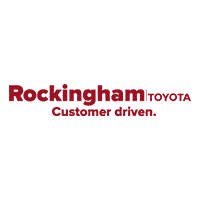 Online shoppers visiting Rockingham Toyota’s dealer page will find a “2019 Consumer Satisfaction Award winner” badge on their profile to instantly recognize it as a high-quality dealership. Emmett Horgan and a small team of dedicated employees opened Rockingham in 1985. Rockingham is a family owned and operated business with Emmett’s son Ryan Horgan now involved in the day to day operations. Rockingham is committed to serving the Community by supporting local organizations such as the Salem Boys and Girls Club and SARL (Salem Animal Rescue League). You will see furry members of the Horgan family walking or lounging around the dealership as well as the occasional Rockingham Employee bringing their own pups into work for the day. Rockingham welcomes their guests to bring their own furry friend by when visiting the dealership.